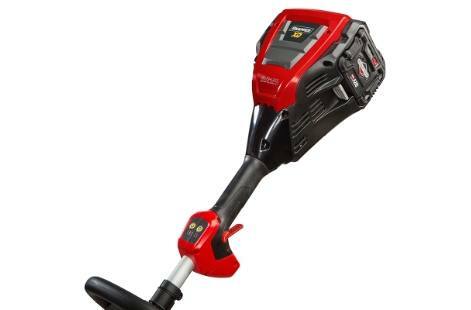 The Snapper® XD 82V Max* Cordless String Trimmer powered by a 2Ah, 4Ah or 5Ah Briggs & Stratton® Lithium-Ion Battery allows you to easily clear weeds and trim around landscaping with. 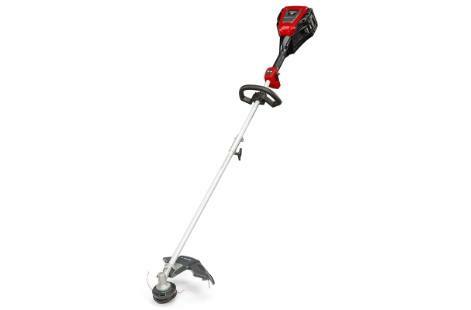 It has an ergonomic straight-shaft design and comfortable overmolded handles and can run for up to 40-minutes** with a 2Ah battery (additional run time available with separate 4Ah battery). It has reliable power, is easy-to-start and requires less maintenance. Brushless Motor Technology: A long life, 800-watt high-efficiency brushless motor provides the power and reliability you need for trimming around your yard for years to come. Convenient Controls: Easy-to-use push button controls with an indicator light let you know your unit is powered on. 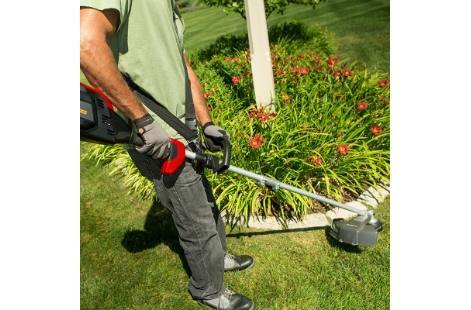 The multi-speed control button allows you to easily adjust to the right speed for your trimming conditions. 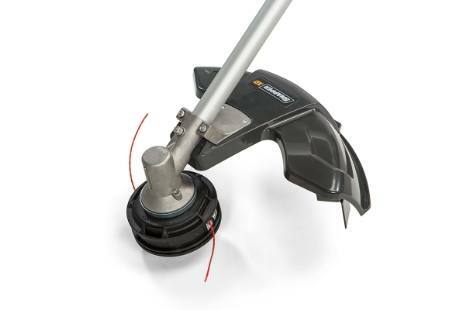 Dual-Line Feed: At the end of the durable 1-inch aluminum shaft with cast metal connector is the trimming head with a wide 16-inch cutting diameter. The 0.08-inch dual-line can be lengthened as needed with the bump feed advancement feature. Operator Comfort: Ergonomic overmolded handle allows for comfortable operation with either hand, while the padded shoulder strap provides added support during operation. Line / Diameter: Dual / .080"